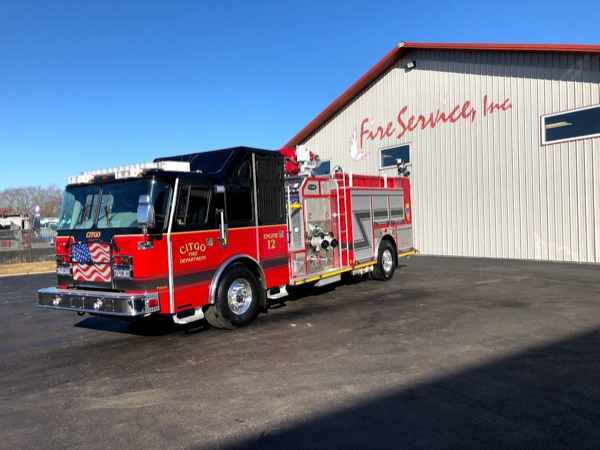 Congratulations to the Citgo Petroleum Company in Lemont on the recent delivery of their new E-ONE top mount pumper. This is their 2nd E-One industrial pumper. 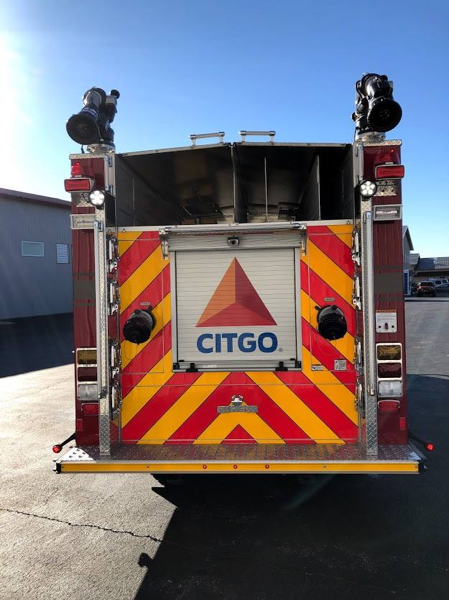 It is a duplicate of Citgo’s first pumper with a capacity of 3,500-gpm pump at draft and 10,000-gpm flow off hydrants. 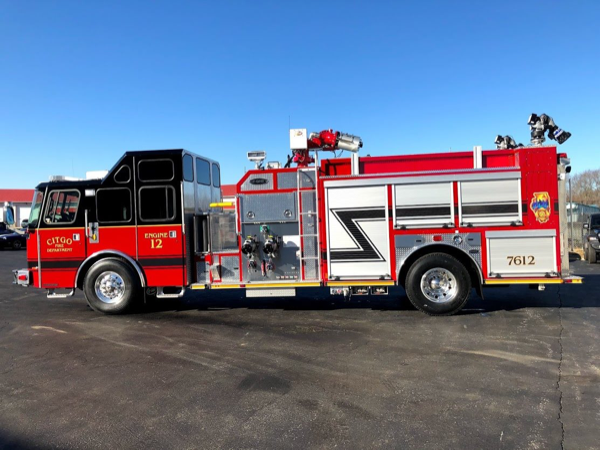 This truck carries 1,000 gallons of foam concentrate and distributes finished foam through a Williams Hot Shop balanced pressure foam system through the primary Williams 8,000-gpm capable deck gun and through the secondary twin TFT Monsoon deck guns each rated up to 2,000-gpm. Additionally, this truck is equipped with numerous large diameter discharges and hand lines. The truck is powered by a 600 HP Cummins X15 motor and seats up to six firefighters. This is an amazing piece of firefighting technology. We are proud to partner with this industrial customer. 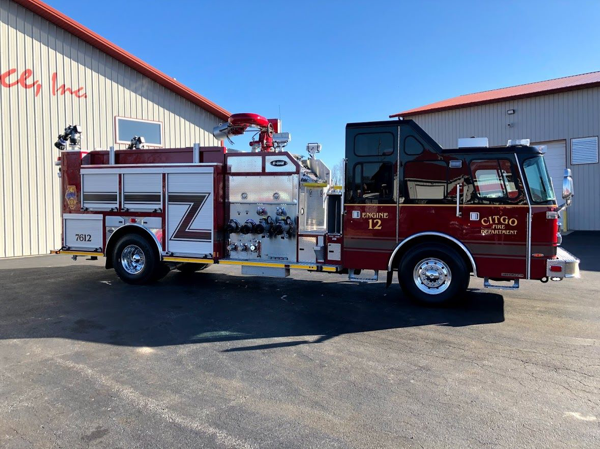 This entry was posted on April 13, 2019, 3:30 PM and is filed under Fire Department News, Fire Truck photos, New Delivery. You can follow any responses to this entry through RSS 2.0. You can leave a response, or trackback from your own site.